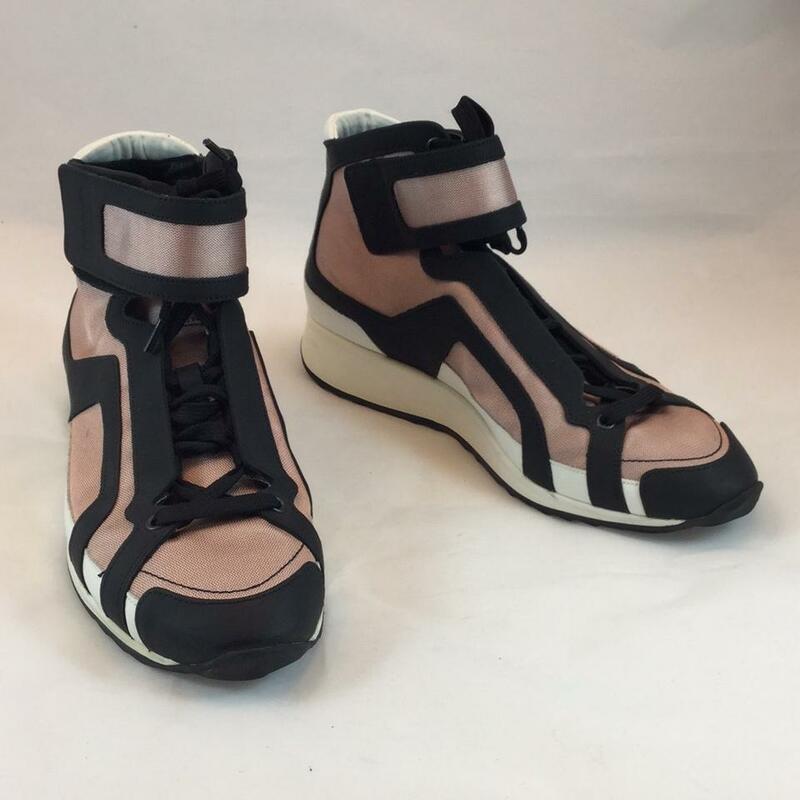 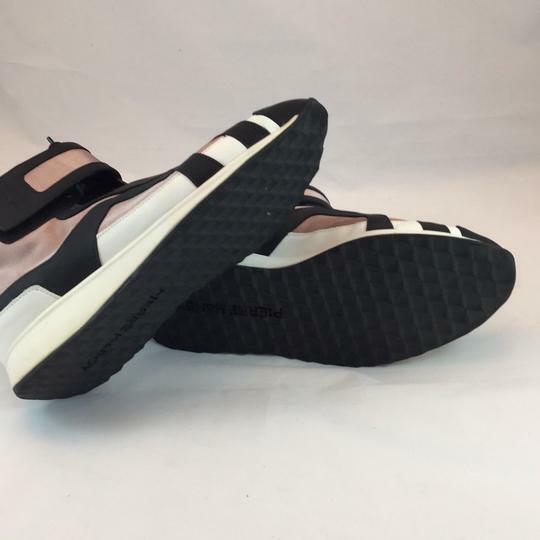 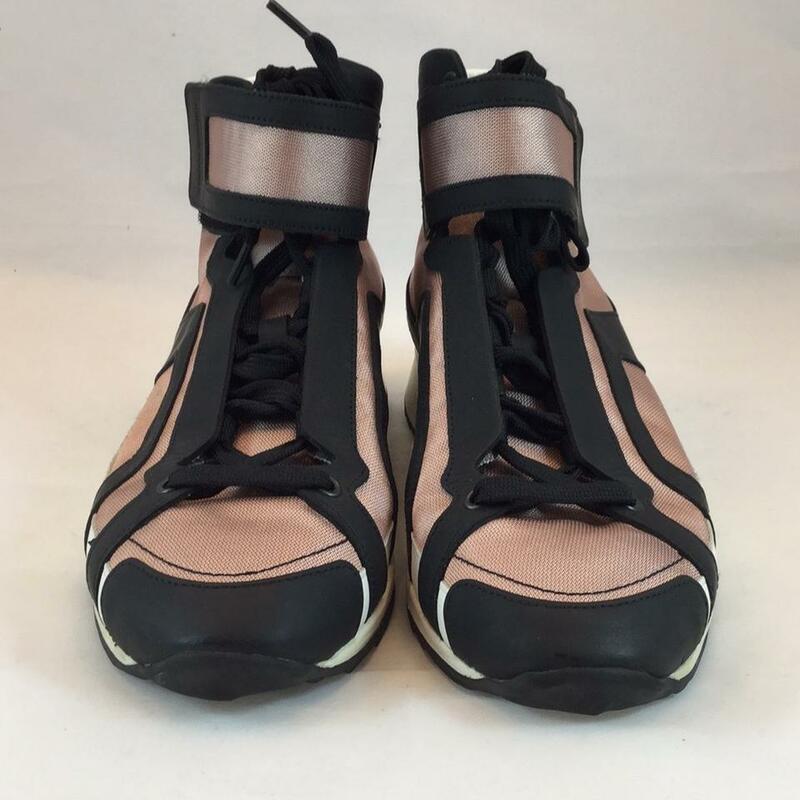 Stylish sneakers by Pierre Hardy. 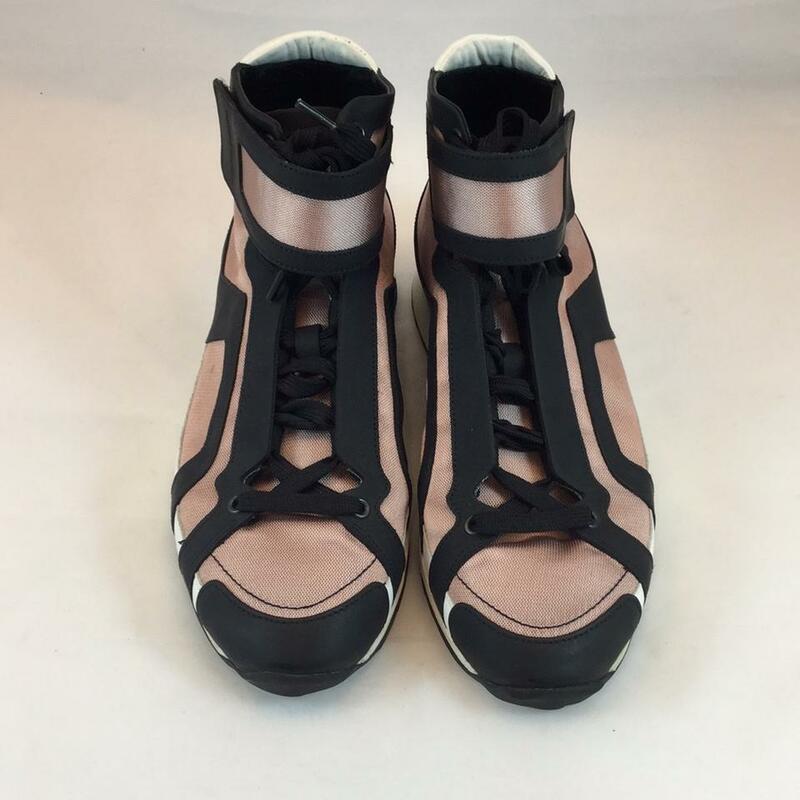 Blush pink nylon woven material with soft black leather accents. 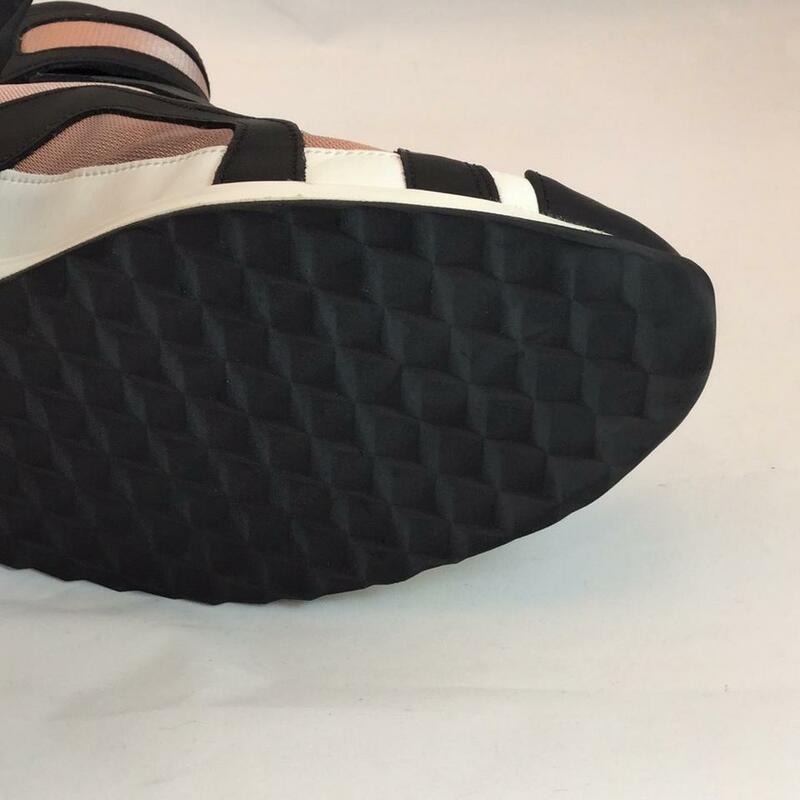 White leather along heel and bottom strip, white rubber sole with 1" slight wedge. 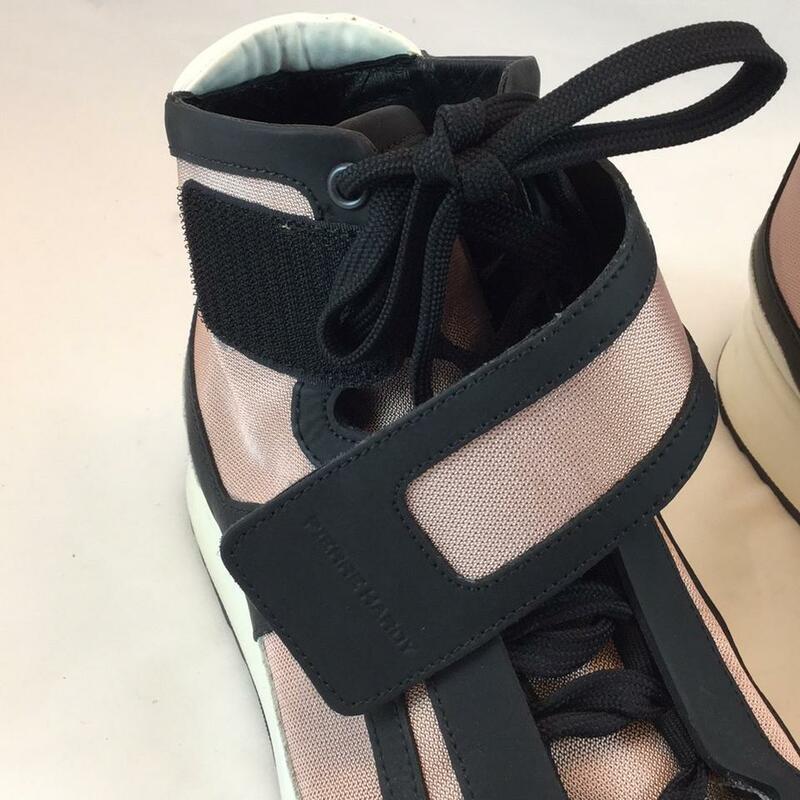 Black laces with 1.75" band velcro over the laced tie. Size 39. 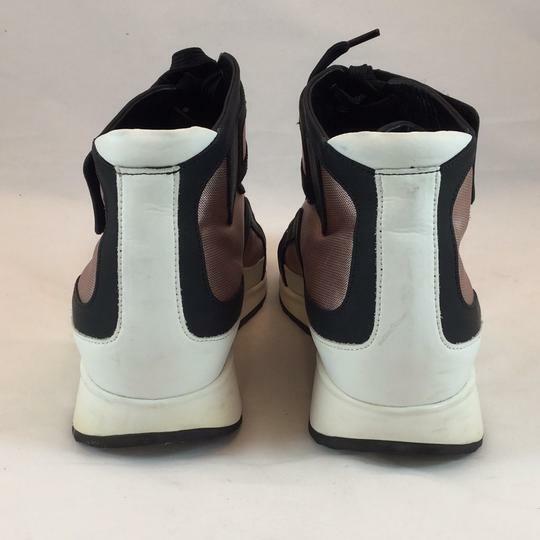 Excellent condition, worn just once. No box. 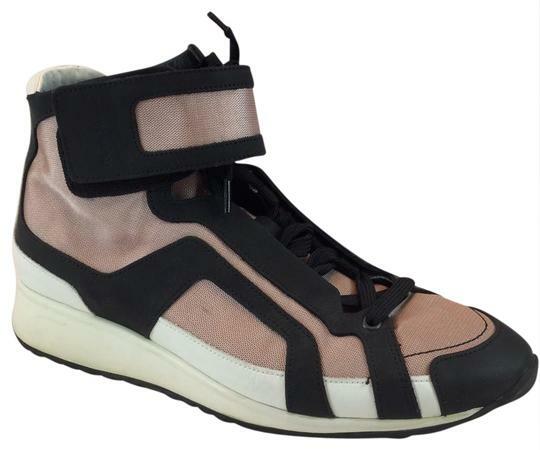 Retail $795.